on Saturday, September 29 at 9:00 a.m. or 1:00 p.m.
Stonehenge is the #1 selling fabric in the country. Inspired by the texture of the rocks in the ruins of Stonehenge, England, the designers at Northcott Fabrics have produced an entire line of over 150 colors in this beautiful collection. 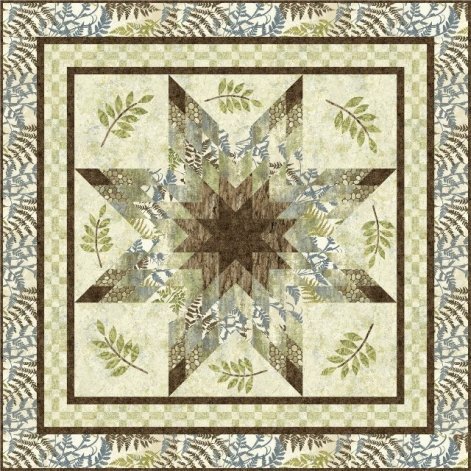 To coordinate with those are many panels designed to give the look of intricate piecing. Vic Dadika, of Northcott will be bringing all of the fabulous samples you've seen in ads in national quilting magazines and he will give a trunk show presentation covering all the new quilts and projects that are available. Vic will also give a sneak peek on what's coming in the spring from Northcott. Come and be delighed by this journey to Stonehenge! Refreshments and free fabric will be offered! Please pre-register so we can plan, space is limited and this is a one-time only event. There is NO CHARGE, the pre-registration is necessary for planning only. Bring your guild, your friends, and your quilting buddies. You will be delighted at this educational, entertaining, and totally enjoyable presentation. The fabrics are simply elegant! You may call Valley Fabric at 307-786-2653 to sign up or jot your name on the list when you are in the store. We look forward to sharing this great opportunity with you.